dictyBase (http://dictybase.org), the model organism database for Dictyostelium discoideum, includes the complete genome sequence and expression data for this organism. Relevant literature is integrated into the database, and gene models and functional annotation are manually curated from experimental results and comparative multigenome analyses. dictyBase has recently expanded to include the genome sequences of three additional Dictyostelids and has added new software tools to facilitate multigenome comparisons. The Dicty Stock Center, a strain and plasmid repository for Dictyostelium research, has relocated to Northwestern University in 2009. 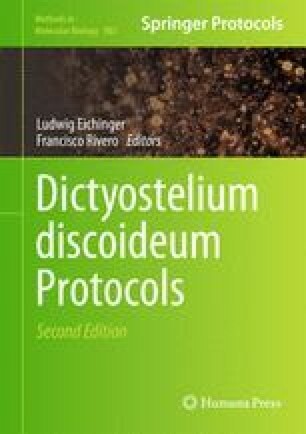 This allowed us integrating all Dictyostelium resources to better serve the research community. In this chapter, we will describe how to navigate the Web site and highlight some of our newer improvements.